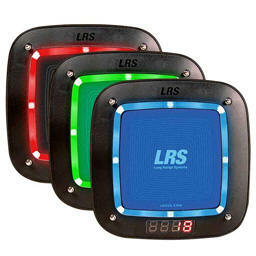 LRS started the coaster pager revolution in 1993. We invented the first coaster pager. This unique device has special charging methods only found on the Coaster Call. 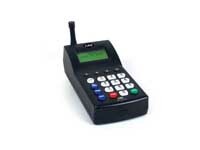 It's the most robust customer or guest pager in the world today. Increases throughput. Notify people faster when you need to. Minimize crowds in waiting areas. Eliminate overhead paging. Free guests from being tied to the waiting area. Control Queue's once and for all. If you need to manage the flow of customers or guests then the coaster call can help you achieve that. With the ability to create an invisible queue there is much less chance of walkaways. And walkaways come right off your bottom line profits. The new CS6 and CS7 series of guest pager systems know when a message is received from a transmitter. The whole system is interactive and is the ONLY intelligent guest or customer paging system with these features in the world today - only available from Long Range Systems. Anything else is just yesterday. The CS series of pagers older CS4 all work with the new Guest Sessions free application. With LRS new digital patented technology you can be sure that when you're using the coaster pagers from LRS that these systems will never let you down and increase efficiency, productivity but most of all increase the quality of your customers experience within your establishment. 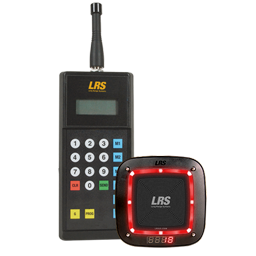 The most powerful transmitter we have and it works with all of LRS pagers. Suitable for the CS series coaster call CS6 or CS7 with medium range.